Synopsis: The only person poetry-loving Cali Monroe hates more than herself is Logan Waters, the geeky kid who lives in the dorm building next to hers. 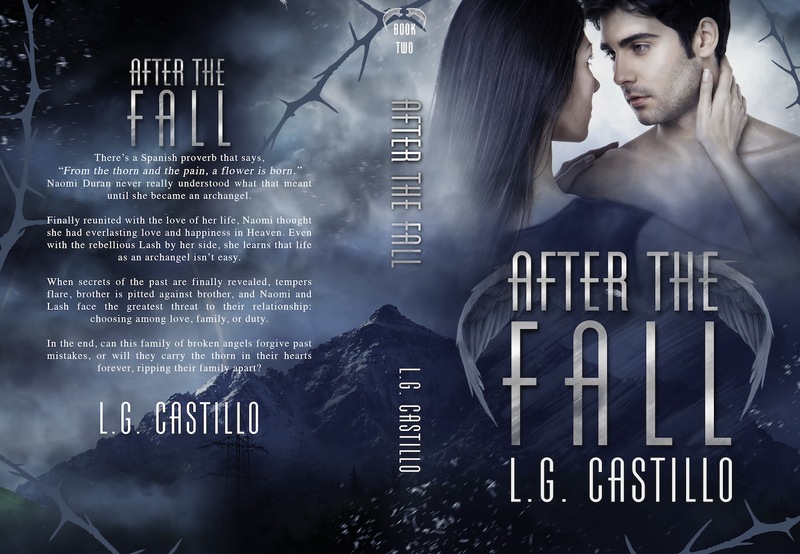 Review: 4.5 Stars - Author L.M. 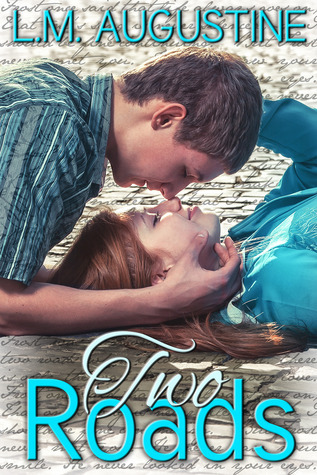 Augustine jumps in with both feet in the ever growing “New Adult” category with his latest title Two Roads. It’s a fact and I’m sure at this point it’s becoming well known that I love a good “New Adult” title. So, when L.M. told me he was writing one, I couldn’t wait to read it and cheered him on along the way. His writing in Two Roads brings his characters to life as their story plays out on the page. 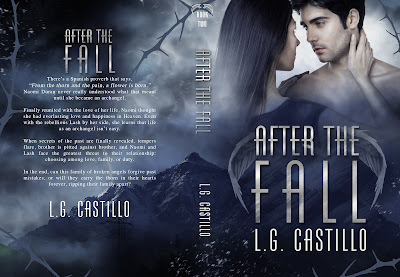 You get a great feel for what Cali, who’s dealing with the death of her brother and Logan who is dealing with the death of his best friend are going through. The two have a past which both think of fondly yet there’s the death of someone they both loved that’s more in the front of their minds. Ending up at the same college was not what Cali was expecting when Logan transfers in. The two are opposites, but only on face value. Cali tries her hardest to play the mean girl to keep from getting too close to anyone; she doesn’t want them to see the pain that’s just underneath the surface. Through her inner dialogue we learn who she really is, what makes her tick and why she’s struggling with her relationships with everyone around her including her parents. Logan is a hot nerd. He loves math and he is surrounded by good friends. When Cali goes out of her way to target him in a bit of friendly and some not so friendly pranks, the heat gets cranked up a few notches. Cali is fueled by their rivalry and Logan is more than happy to play along. One of the things I loved about this title was that with all the emotions that the two characters are dealing with, I often found myself laughing out loud. Props go out to any author who writes and makes me laugh and L.M. did just that over and over again. The snarky one liners to the full conversations often had me in a fit of giggles to full on cracking up! While the story is about these two college students it’s also about their past and how their relationships with Cali’s brother have affected them. It’s this relationship with her brother that bonds them, change them, make them grow and to learn to live again. Another part of the story that was interesting was the two characters and their love for poetry. It takes on a much larger part of the story than I had anticipated and I loved it! From the first page to the last I was invested in the characters and the story. L.M. 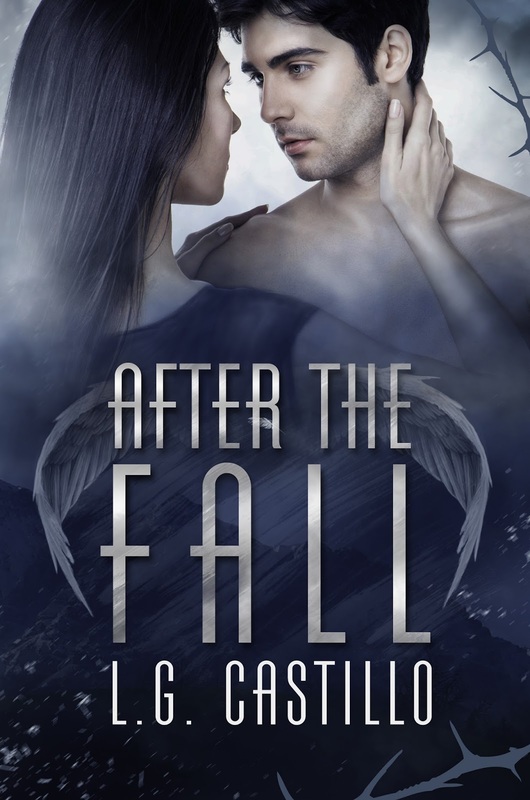 writes some very realistic characters that turned out to be fascinating and entertaining to read while at the same time I felt a bit of sadness for what they were both going through during their grieving. I also enjoyed watching the two and their relationship change with every encounter. All in all, Two Roads was a must read and for good reason. I hope that others will find this book and embrace it just as I have. While this is L.M.’s second title I know it won’t be the last, making this reader a huge fan and easily making L.M. a go-to author to read and someone to watch out for into the future. 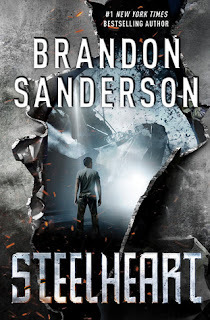 I highly recommend this title to anyone who loves a great contemporary with strong characters and story. I loved it and I’m sure YOU will too, go out and grab a copy today! Enjoy! 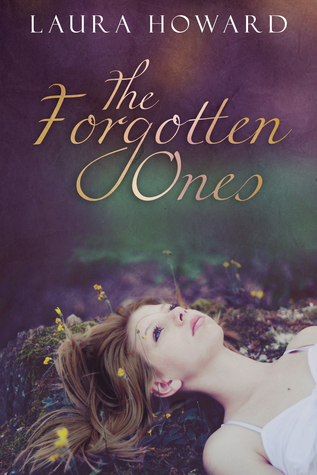 Blog Tour: Review - The Forgotten Ones By: Laura Howard + A GIVEAWAY!!! Synopsis: Allison O’Malley’s plan is to go to grad school so she can get a good job and take care of her schizophrenic mother. She has carefully closed herself off from everything else, including a relationship with Ethan, who she’s been in love with for as long as she can remember. Review: 4.5 Stars - The Forgotten Ones By: Laura Howard is the first title in the thrilling Danaan Trilogy. Once I started it, I couldn’t put it down making this title one of my favorites for the year. Allison has been struggling with issues at home for years. She lives with her grandparents and her mentally ill mother. She takes on more than anyone her age should; she has plans and will do everything in her power to make those plans happen. She stays out of trouble, works at her grandfather’s store and works hard to stay away from the one boy who could ruin everything. Sounds like your normal contemporary right? Well, it’s anything BUT! There’s a long lost father, magic and trouble. There’s the truth of her mother’s illness and questions Allison has regarding a father she never knew. There’s also lore, love and dangerous people and places at every turn for Allison in her search to obtain all that was taken back. See, not so normal and far from contemporary and it filled in each box that makes a book memorable and a reader wanting more. Howards characters are flawed yet wonderfully developed. She has lore that I loved reading about and things that happened that I was mesmerized by. The people of Tuatha de Danaan are still somewhat a mystery to me yet I’m okay with that because I know there will be more to these Irish folk and more to Allisons story in the next two books that follow. Allisons relationship with her grandparents was sweet and heartwarming. It’s always nice when there are parents involved or grandparents as there was for the female lead. And her relationship with her cousin who lives next door, while often rubbed me the wrong way there’s no other way to see this relationship but caring. And then we have Ethan, Allison’s love interest from afar who would like nothing more than for Allison to give him a chance. There’s a spark between the two but Allison is keeping her distance because of her plans and his past as being a player. Ethan as a character fit the story yet I would have liked to see more of him and see his relationship with Allison over a longer period of time. Thankfully this being the first in a trilogy I’m hoping I get just that over the next two installments. So I reminded myself often while finishing the book that with patience I’m sure I’ll have answers to these questions and all the others that were running through my head while reading. All in all, if you haven’t read the Forgotten Ones you should. You should move this title to the top of your to be read list, because it’s pretty fantastic. I wish I hadn’t waited so long to read this one and I’m glad when I did that I found as much to love as I have and I’m more than eager to read the next installment because, seriously I can’t wait to see what happens next! I highly recommend this intriguing story with characters you’ll love and a mysterious people who you’ll be interested to understand. Enjoy. 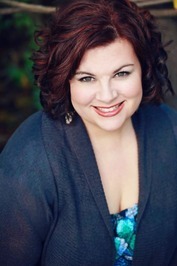 Synopsis: Ellie Martin hates her beautiful, man-crazy mother. Her mother’s wild and wanton behavior has left Ellie with a deep longing. To escape. To belong. To know who her real dad is. To really be loved. Her mother finally crosses a line thatsends Ellie running, escaping to college with one, focused goal–to find and confront her bio dad, who doesn’t even know she exists. Then she meets Logan. Hot, charming, and troubled. He turns her world upside down and puts all her plans in jeopardy. LOVE the sound of this one and I think that the cover is simple and stunning yet fitting. I love how it's gray scale and then how longing POPS right out! Beautiful cover for a book I can't wait to read. 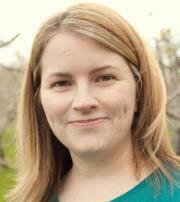 Authors Are Rock Stars 2013: Character Guest Post with Rachel and Logan from C.J. 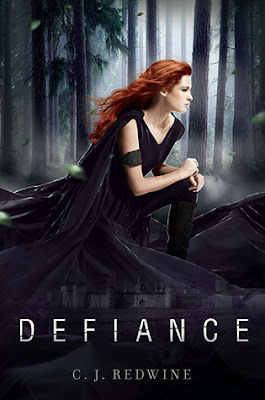 Redwine's Defiance! 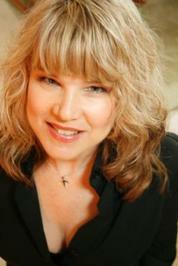 I'm so excited to be hosting rock star author C.J. 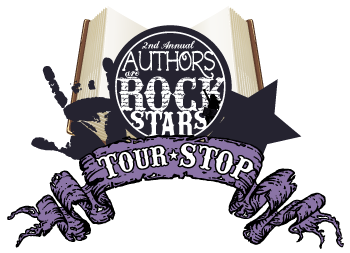 Redwine in the second annual Authors are Rock Stars Blog Tour! A few of the reasons why I'm so thrilled to be hosting C.J. are pretty simple but epic none the less. Her books, her stories and her characters are thrilling, adventurous, and memorable. The world she has created is easy to vividly imagine. It's all about the writing and Mrs. Redwine sure does have a way with words. 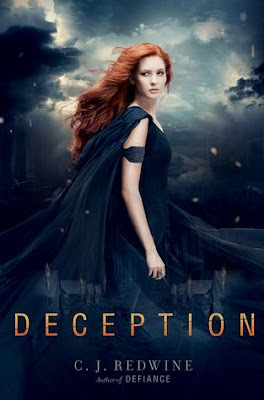 I knew I wanted to find out more about the world Defiance is set in and I'm eager to read Deception to find out just what happens next to Rachel and Logan. C.J. 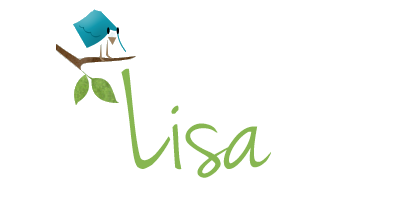 YOU are without a doubt a Rock Star of an Author and I'm glad that today, my blog was able to celebrate YOU! Keep writing and we'll keep reading. And now, I bring you a fun interview with none other than Rachel and Logan!!! Julia: Now, you two really got in over your heads in DEFIANCE! I don’t want to give away any details of your story to readers who haven’t met you yet, but I would like to ask you a few questions. Logan, I know this is probably a difficult subject to discuss, but our readers want to know how it felt to be an outcast on the streets of Baalboden for so many years. If you could describe it in one word, what would that be? Logan: *clears his throat and shifts in his chair* I guess if I had to pick just one word it would be desperate. Julia: Desperate. *leans forward* Desperate for what? For food? Shelter? Safety? Logan: *rubs the back of his neck* For family. Julia: *looks misty eyed* It must be very difficult not to have any family left. Rachel: *leans forward and blocks Logan from Julia’s view* Oh, he has family. He has me. And I think it’s time for your next question. Julia: *smiles at Rachel* One of the things our readers noticed right away about you is your loyalty to those you love. Clearly, you’re loyal to Logan. Rachel: *sits up straighter* Clearly. Julia: We all know that you first told Logan you loved him when you were fifteen, but certainly you must have realized your feelings before that. Our readers want to know when you first knew that Logan, who’d been taken in by your adopted grandfather and then apprenticed and treated like one of the family by your father, was more than a brother to you. Rachel: *glares* What kind of question is that? Logan was never a brother to me. Ew. Logan: That really is a disturbing thought. Julia: I simply mean, when did you first realize that you were attracted to Logan in a romantic way? Logan: *smiles wider* I’d love to know the answer to this question myself. Rachel: You would. *meets Logan’s eyes* It was the night we ruined the cake. Remember? Julia: For those of us who weren’t there, can you explain more? Logan: *still looking at Rachel* It was Oliver’s birthday. Julia: Rachel’s adopted grandfather who also took you in, correct? Logan: Right. *rubs his thumb over Rachel’s hand* It was his birthday, and he was always baking special treats for us, so we decided we would surprise him with a cake that we made ourselves. Rachel: And he estimated wrong. The batter rose over the side of the pan and spilled all over the bottom of Oliver’s oven. The middle caved in. And the entire thing, especially the stuff on the bottom of the oven, burned. Logan: *grins at Rachel* It smelled worse than the trash heap you threw Jeff Hughson into when he was bothering Sylph. Julia: And how did a ruined cake help you fall in love with Logan? Rachel: *frowns slightly* I didn’t fall in love with him because of the cake. I fell in love with him because he kept fighting for himself and for those he cared about even when the odds were always stacked against him. And because he bites his lip when he’s concentrating. And he makes me laugh. And he takes me seriously. And he tries so hard to do the right thing. And when he looks at me … wait, what was the question? Rachel: Right. There we were with that cake all over the place, and the smell, and Oliver due home any minute to a mess instead of a birthday surprise, and Logan started laughing even while he burned his fingertips trying to clean the oven before Oliver could see it. He stood there and laughed, and it made me laugh too, and I realized that I wanted to laugh with him all the time. I wanted to be near him, even when everything was a disaster, because no one else could make me laugh when I wanted to cry. Julia: That’s lovely. Logan, when did you realize you loved Rachel? Was it over the cake? Logan: *tightens his hold on Rachel’s hand* I didn’t know I loved her until I was separated from her. Until I was confronted with the very real possibility that I would lose her forever. I guess it takes me a while to figure things out. Rachel: It would be easier for you if people came with schematics, right? Julia: Your road to romance was blocked, not just by the fact that you didn’t realize your feelings at the same time, but by the culture of your city and by outside circumstances. If you could go back and change one choice of yours, what would it be? Logan: I would’ve said yes when Rachel asked me to help her find her father. Rachel: *smiles at him* I wouldn’t have wasted two years being mad and embarrassed that he turned me down when I was fifteen. Our friendship is too important for that. Julia: There are a lot of obstacles yet to be faced in your lives. Here at Happily Ever After, our readers are always curious to know what you are willing to do to overcome those obstacles. Logan: *jaw tightens* Anything that doesn’t put Rachel in danger. Rachel: Oh, great. Now you make it sound like I’d willingly put you in danger. Or worse, like I need to be protected. Logan: *leans close to her* No, I made it sound like I love you and don’t want to lose you. Julia: *beams* Wonderful. One last question. What does happily ever after mean to you? What do you want most? Rachel: *is silent for a moment while she thinks* I want to finish our enemies and then go live quietly somewhere where our only problems are ruined cake and too much laughter. Logan: *looks at Rachel* She’s my happily ever after. Anything else is a bonus. Julia: There you have it, readers! Thank you for joining me for tonight’s episode, and may all your ever afters be happy. Synopsis: While the other girls in the walled city-state of Baalboden learn to sew and dance, Rachel Adams learns to track and hunt. While they bend like reeds to the will of their male Protectors, she uses hers for sparring practice. Synopsis: Baalboden has been ravaged. The brutal Commander's whereabouts are unknown. And Rachel, grief stricken over her father's death, needs Logan more than ever. With their ragged group of survivors struggling to forge a future, it's up to Logan to become the leader they need—with Rachel by his side. Under constant threat from rival Carrington's army, who is after the device that controls the Cursed One, the group decides to abandon the ruins of their home and take their chances in the Wasteland. C.J. 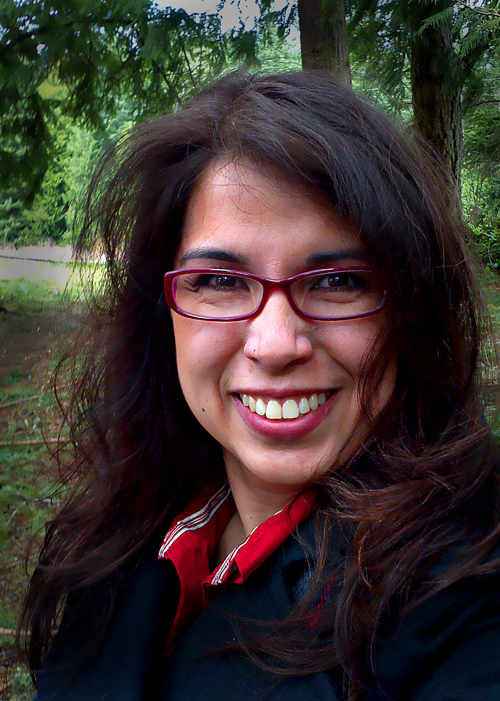 Redwine loves stilettos, lemon bars, any movie starring Johnny Depp, and books. C.J. holds a degree in English Literature from Pepperdine University and now lives in Nashville, Tennessee with her husband, four kids, two spastic cats, and one long-suffering dog. 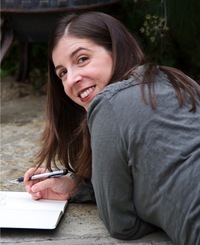 For more on C.J., please visit her website at: http://cjredwine.blogspot.com. Synopsis: KOS MARAS’s orderly life is in shambles—he must distribute Blood Vine to a population of ailing vampires, but Hunters block him at every turn. To make matters worse, each night he watches over a temptingly beautiful woman sleeping in his bed. He is convinced love cannot last a vampire-long lifetime and an entanglement will only cause them grief, but he doesn’t have the heart to send her away. 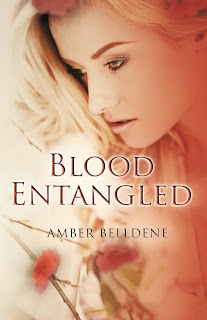 Review: 4 Stars - The second title in author Amber Belldene’s Blood Vine series – Blood Entangled might be the continuation of the Maras family of vampires but in this title we learn more about Andre’s son Kos and house cook and blood servant Lena Isaakson. Kos is nothing like his father Andre. He’s kind and cares enough about those who he meets to not get too close. He doesn’t believe in forever love. He’s seen what love can do to a person, like what happened to his mother and what in turn happened to Andre many, many years ago when their bond went wrong. He wouldn’t wish that fate on anyone. He might be a vampire but he has a kind caring soul. Then we have Lena, who we also met in the first title Blood Vine. She was hired by Andre to be the cook for the household (the other blood servants) and to be a blood servant as well. It’s all she’s wanted out of life, to fulfill her destiny just as her grandmother taught her. In blood vine something happened to make her question what exactly her destiny is and she was forced out of the household. Lena wants nothing more than to do what she feels she was born to do and that’s serve a vampire and cook. And when things went wrong she had no idea where to turn. That’s when Kos stepped in to help. Lena has never looked at Kos any other way but in friendship. The two have things in common and like spending time together. When she’s forced back to the Vineyard to live she asks for Kos’s help to find her a permanent home with a new vampire family to take care of. The story does revolve around their growing attraction yet there’s so much more to things than just these two. The hunters play a much larger part in this second title than before. Both vampires and hunters are finding out more about their pasts and what happened to cause the war between both. The history is interesting and I’m eager to know more that we should learn in the next book. I’m really excited to see where Belldene is going to take this story next. The hunters have a plan and its set in motion. I didn’t know who was going to do what to fix things but I didn’t expect to happen what did. I felt Andre’s pain, which in turn affected all the others in the household as well. I have to give it to the hunters and having that ace up their sleeves. You never think that the bad guys will win and well… they might be ahead at the moment; I just can’t wait to find out how Andre, Kos, Bel and this crazy aunt who showed up Uta will retaliate next. One thing about Belldene’s books is that there’s never a lull in the story. The books flow along and before you know it you’re met with a revelation, just as the characters are that throws you as a reader for a loop. All in all I’ve become a fan of this series even more so with the second book. Especially with how much more the hunters are taking part in the much broader evolution of things. I like that we have a chance check in on characters who were featured in Blood Vine and that the secondary characters are also front and center, taking a much larger part of the story as well. In the end if you like vampires and are eager for a different mythology, then look no further! Take a chance, read these two titles and enjoy! So here I am, a prisoner houseguest at the Kaštel Estate Winery. There are worse places to hide from one’s sociopath of a brother. At least the food is good, and the views are nice—sweeping vistas of wine country, all the wine I can drink, and a chance to indulge my secret affection for soap operas, though with all the vampire drama around this place, I hardly need any extra entertainment. I could probably leave, but Ethan would find me no matter where I hid to pay me back for my betrayal. And I don’t mind keeping my eye on Pedro. I get why he’s pissed at me, after the beating I had to give him when my brother captured him. And I can’t lie—I’m pretty freaked out that he’s a vampire now. After all, I was raised to hate those bloodsuckers with a righteous fury. But there’s just something about him. He needs me, and I want to make sure he’s okay. So I’m going to sit tight, and try to piece the old Hunter stories together. Maybe I can figure out this weird bond between us. Or maybe it’s not weird at all—maybe it’s plain and simple boy-meets-boy stuff. Who could have ever believed one little kiss in the Kaštel Estate Winery tasting room could have set all this chaos in motion? Synopsis: Ten years ago, Calamity came. It was a burst in the sky that gave ordinary men and women extraordinary powers. The awed public started calling them Epics. In this week's WoW I've selected two titles I can't wait for. 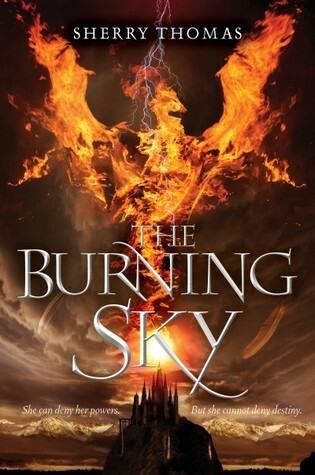 Filled with magic in the high fantasy - The Burning Sky and super human powers and revenge in Steelheart... I love both covers and I can't wait to read them! So, what do YOU think of each of these titles? Synopsis: Two guys who’ve stolen her heart. Countless enemies with insatiable bloodlust for power.Will one girl's curse ultimately save her? Review: 5 Stars - Enemy Within is the second title in author Angeline Kace’s Vampire Born trilogy. With the events that happened at the end of Descended By Blood, I knew without a doubt that I had to get my hands on this one. As soon as I did I also knew I’d drop everything to find out what was about to happen next to Brooke, Mirko and company! This book, without a doubt left me stunned. If there’s one thing that Angeline does and does well, it’s the crazy tension that builds over and over again between her characters. And I’m not just talking about the sexual tension between Brooke and our favorite vampire Mirko either. There’s drama at every turn heartbreaking new rules that must be followed, eyes everywhere and new players that are about to change everything! Once reading it was one heck of a ride that Angeline gave me. I will admit that I was angry a few times over what she makes her characters go through. There were plenty of times I almost put my Kindle down and sent her an email asking WHY?! I knew that’d take too much time… so I kept reading and before I knew it I’d want to fire that email off to her again! Oh the emotions! Speaking of… while Descended By Blood was emotional, it didn’t hold a candle to what I saw and felt while reading this novel. How she does it, I don’t know but if I have one thing to say, it’s KEEP DOING WHAT YOU’RE DOING ANGELINE! Relationships face heavy strain, are tested and damaged. I flew through the story and when I hit that last page I about died. I seriously wondered if I had a copy that was missing that last chapter or two. I had to reread the last few pages a few times to come to terms with what exactly I was absorbing. Angeline! Are you serious? How could you DO that to us?? All in all, I loved the first book and knew that we’d be in for a treat with the second, and I am happy to say that I was right. Angeline has an exciting fresh new take and lore to vampires. She writes a fast paced story with characters you won’t be able to forget, a book boyfriend that’ll make you swoon and a tension that’s over the top in more ways than one. I loved it and I know everyone will too! Hurry, go read! No waiting, go, go GO! 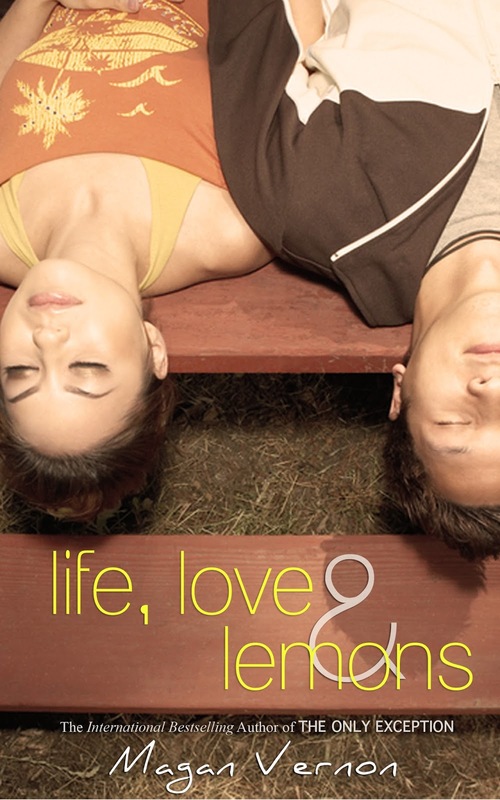 Book Blitz: Excerpt - Life, Love & Lemons By: Magan Vernon + A GIVEAWAY!!! Synopsis: When life hands you lemons, sometimes you have to say screw the lemons and bail. From Monday to Friday it was like everything had changed. Instead of walking through the halls alone with my head down, Kai was always by my side. This, of course, led to some very interesting stares and nicknames from people. I think my favorites were Bonnie and Hyde or Sid and Nancy Drew. Anything people could think of to come up with a couple name for the punk kid and the preppy girl. There were others, but the East High kids could get pretty raunchy when they came up with some of these nicknames. It was that lull after I had fourth period gym class and before lunch. I was leaning against my locker, and Kai pressed his palm against the other locker and faced me. I still wasn’t sure what to think of Grant and Brody. They were nice and all, but I always felt like they were gawking at me like I was some sort of a zoo exhibit. The truth was that I already asked my parents about the concert. Mom just rolled her eyes and couldn’t believe that her daughter wanted to go to some crummy warehouse to sweat with a bunch of teenagers, but Dad was a little more interested. Just by asking about the concert hosted a whole slew of questions about the bands and who I was going with. I especially got nervous when he started asking questions about Kai. “What do you mean maybe?” He asked as he ran his tongue over his lip ring. We still hadn’t kissed. I was pretty adamant about the whole not kissing until he was my boyfriend thing. But I couldn’t deny how much I thought about his lip ring. “I mean, maybe I’m busy or something." I twirled a strand of hair around my fingertip. “What? Are you going out with one of your other boyfriends or something that night?" He leaned in closer. A couple of jocks walked by and yelled some disgusting comment, but I pretended like I didn’t hear them. “I don’t have any boyfriends at all, so I really wouldn’t be going out with any of them, now would I?" I batted my eyelashes. “Why don’t you be my girlfriend then?” He traced his free hand down my arm, full-on putting on the charm. “Maybe," I answered very quickly, almost too quickly, since he blinked really hard. “What do you mean, maybe?” He tilted his head to the side and he reached down to grab my hand. “Ew, get a room." A very tall girl with fiery red hair and cat’s eye glasses yelled and then walked over to us. “Teegan, if you think that hand holding is bad, then you really need to get out more,” Kai quipped, quickly looking from me to Teegan. “Oh, I saw plenty of that with you and Brynne. Remember I’m her band mate,” Teegan snarled and walked closer. “But when it’s with little Miss Sandra Dee, it’s kind of disgusting.” She giggled and headed over to a group of girls a few lockers away. Once I caught sight of the group I immediately saw Brynne’s big green eyes glaring in my direction. “Do you really want to have to keep dealing with that every day? The weird vampire girls and jocks talking about us? Because that’s what you’re going to get,” I said, looking up at him. My cheeks were still hot after Teegan’s comment and I hoped I didn’t look too embarrassed. He started to roll his eyes when I got up on my tippy toes placing my hands on the back of his neck. I slowly pulled him closer as our lips met for the first time. I couldn’t believe how warm and rough his lips were in contrast to the cold and smoothness of his lip ring. Nor could I believe all the people that were cheering as he pulled me closer to fully envelope himself in the kiss. I didn’t want it to end and swear I literally almost melted in his arms when I felt his tongue on my bottom lip. A large hand thrusted between us, knocking our bodies apart. I got off of my tippy toes and quickly let go of Kai as I turned to see my gym teacher, Mr. Brown, with his large and quite furry hand placed firmly in the middle of me and Kai. He faced Kai with his spit-stained mustache. Enter to win ONE eBook Copy of Life, Love and Lemons! Cover Reveal & Excerpt: Beautiful Broken By: Nazarea Andrews + A GIVEAWAY!!! Synopsis: She's been broken by her past. He's been breaking for as long as he can remember. Loved the first book - This Love and I can't wait to read the next in the series!!! 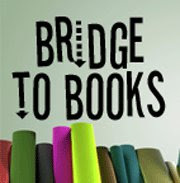 Oh and don't forget to add Beautiful Broken to Goodreads with the above link and lets all help Nazarea get to 500 adds! If the book does get the 500 adds by THIS FRIDAY, August 30th, 2013 she'll release the book early, and I know I can't wait to read this! So add it today and lets help her release the book on September 24th instead of October 8th! I can hear her crying, her sobs shredding through me like sharp knives. I don't even know what to do with her quiet words. You keep the nightmares away. I'm not good at this. I've been broken and breaking things for years. The best—smartest—thing to do would be to call Atti and have him come take care of her. But I want to be strong for her. That's the thing—I know I can't be, but it doesn't stop the want to be better for Scout. I shake my head and open the door, dropping clothes on the counter. In the foggy mirror, I can see the shape of her, huddled on the floor of the big shower. "Are you okay?" I ask. She sniffles. "I'll be out in a minute." It's a clear request for space, so I back away, reluctantly giving it to her. Pull on a pair of faded flannel pants that I wear when Dad comes to town, and sit on her bed. Scout comes in a few minutes later, wrapped in the scent of oranges and soap and wearing a shirt three sizes too big. My shirt looks amazing on her. "Do you want to sleep here or my room?" I ask. Her eyes widen. She might ask—almost opens her mouth to ask—but then she shakes her head and says, "Yours." I nod and switch off her lamp, leading the way down the hall. I let her crawl into bed, tucking the blankets around her when she shivers, then slip in on my side and hit the lights. "Dane?" she whispers in the dark. "We'll talk in the morning, Scout. Go to sleep." There aren't any more nightmares. For either of us. 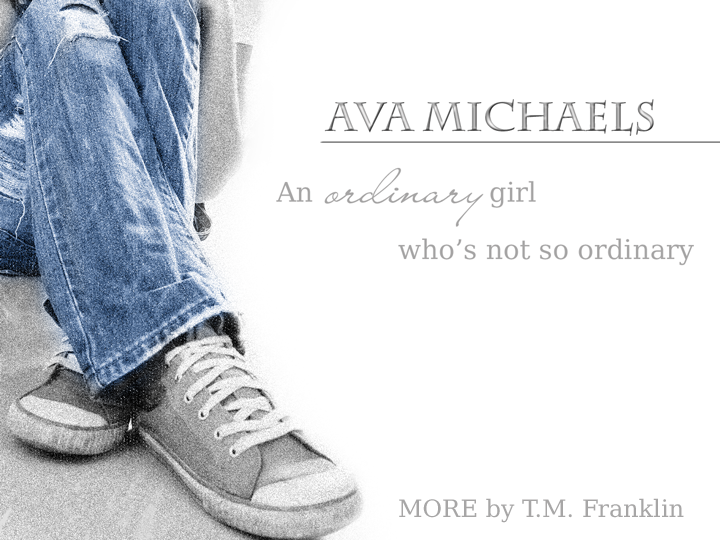 Indie-Summer Blog Tour: Excerpt & Character Guest Post - Ava from More By: T.M. Franklin + TWO GIVEAWAYS!!! 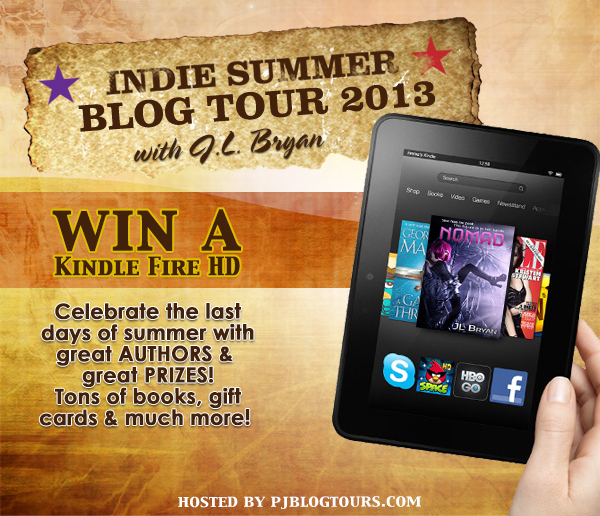 Hello and welcome to my stop on the Indie-Summer Blog Tour! Today I'm excited to host author T.M. Franklin and her female lead character from More on the blog today! Take a peek at the excerpt and then listen to Ava's thoughts about that night. Also, T.M. has asked me to host a giveaway. Check out all the details below and good luck! Synopsis: Ava Michaels used to think she was special. As a child, she fantasized about having magical powers . . . making things happen. But Ava grew up and eventually accepted the fact that her childish dreams were just that, and maybe a normal life wasn't so bad after all. Today’s guest post comes to us from Ava Michaels, the heroine (although she’d hesitate to use that word herself) of the MORE Trilogy by T.M. Franklin. In MORE, Ava encounters some unusual people, but none more frightening than the huge man with one blue and one green eye she keeps dreaming about. She finds out he’s not only a figment of her nightmares, however, when she comes face to face with him on Halloween. When closing time finally came around, Ava shivered as she walked out of the diner, huddling deeper into her wool coat and tugging her scarf up over her mouth. She hoisted her backpack higher onto her shoulder before setting off down the sidewalk, quickly covering the two blocks to campus and only looking over her shoulder nervously a handful of times. She hurried down the walkway toward the dorms, the dim path lights flickering little circles of yellow on the frosted concrete. The moon glowed slightly behind the haze of wispy clouds, and a shout of laughter drew her attention to a couple coming toward her, arms entwined. They were dressed as Romeo and Juliet, their costumes partially hidden under thick coats and mittens. 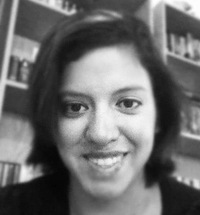 They kissed, breath clouding around them, and began to run, smiling at her as they went past. She couldn’t help smiling back. Their footsteps echoed away until once again, the only sounds interrupting Ava’s quiet breathing were the crunch of her own boots and the squeak of her backpack straps. Ava stiffened, the peculiar feeling sliding over her once again. She scanned the landscape around her, facing straight ahead but her eyes seeking, carefully combing the surrounding shadows. Still, she couldn’t shake that creepy sensation that someone was watching her. She quickened her pace, slipping off her right glove and reaching into her coat pocket to grip her pepper spray tightly. We asked Ava to share her thoughts about this particular scene, and what was going through her mind at the time. It’s been a while since I’ve even thought about that encounter, actually. If you’re not familiar with my story, MORE came out last October, and The Guardians, which picks up where MORE left off, will be released this November. So reading this again is a little like watching an old home movie. Tiernan—that’s the guy with the mismatched eyes. I’m a little more familiar with him now—was terrifying, to be honest. He’s huge, hard-packed with muscle, with close-cropped hair and a big scar running down the side of his face. And when I saw him for the first time outside of my dreams, I couldn’t believe what was happening. I know now that he didn’t intend to kill me, just take me in for testing, but at the time, I truly feared for my life. It took a long time for me to forget the feeling of his hands around my throat. I was sure I was going to die, but then in flash he was gone, and I was safe. It was so weird because I woke up a while later in my own room, with no real memory of what had happened. My roommate, Lucy was freaked out, as you can imagine. But what was really strange was the new scar I had on the back of my head. Or rather, what was weird was that it wasn’t a new scar at all. It was old, healed and just a little tender, and I had no idea where it came from. Of course, later, I remembered it all, and found out who had rescued me, not to mention how I could have a healed scar when I had only cracked my head on the concrete a couple of hours earlier. But I don’t want to spoil the story for you. Suffice to say that my life hasn’t been the same since. And I no longer need to carry pepper spray. Just saying. T.M. 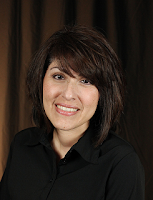 Franklin began her career in a TV newsroom, but fiction is her true passion. 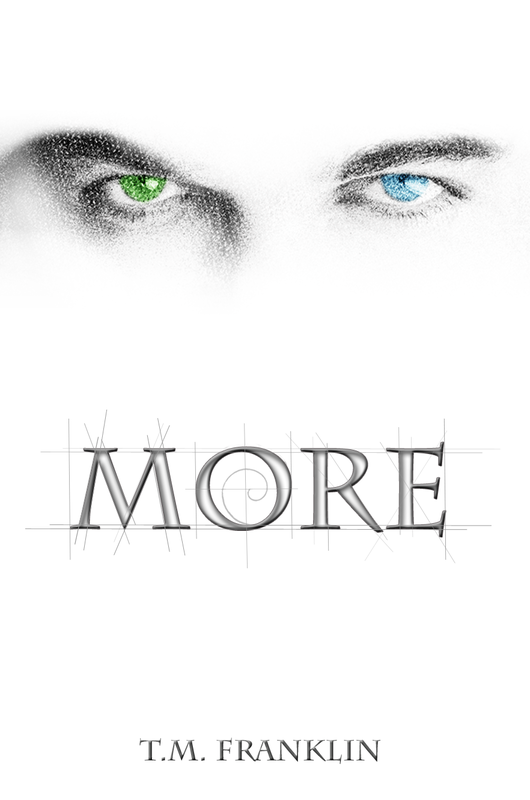 Her first book, MORE, was born during National Novel Writing month, a challenge to write a novel in thirty days. In addition to MORE, Franklin penned the Amazon best-selling short story, Window, & another short story, A Piece of Cake, which appears in the Romantic Interludes anthology. 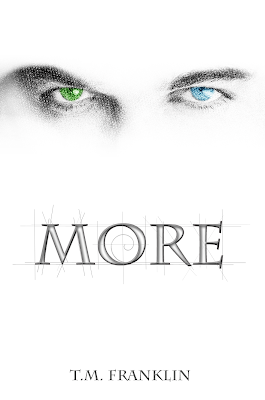 The sequel to MORE, The Guardians, will be released in the fall of 2013. 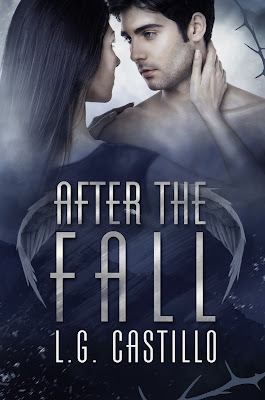 Synopsis: There’s a Spanish proverb that says, “From the thorn and the pain, a flower is born.” Naomi Duran never really understood what that meant until she became an archangel. I haven't had a chance to read the first book in the trilogy - Lash... YET! But I LOVE these covers and I couldn't pass up posting this reveal. There's just something about these that are pretty epic. I can't wait to read both books! How's read Lash? What did you think? And what do you think of this cover?